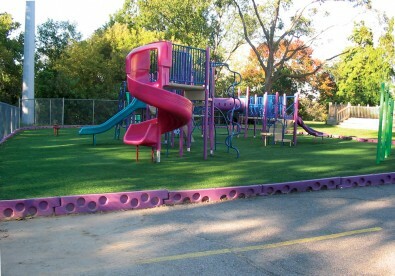 The look of beautiful natural grass with no maintenance and world-class toughness. 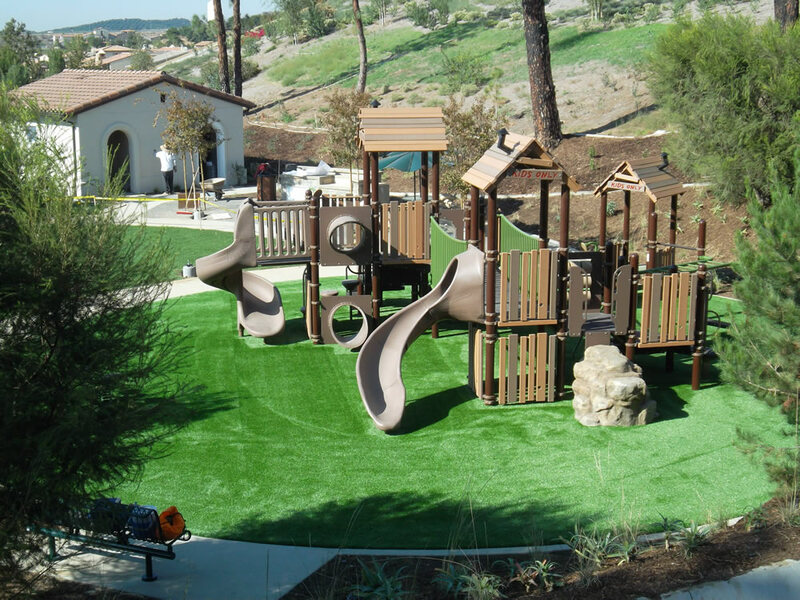 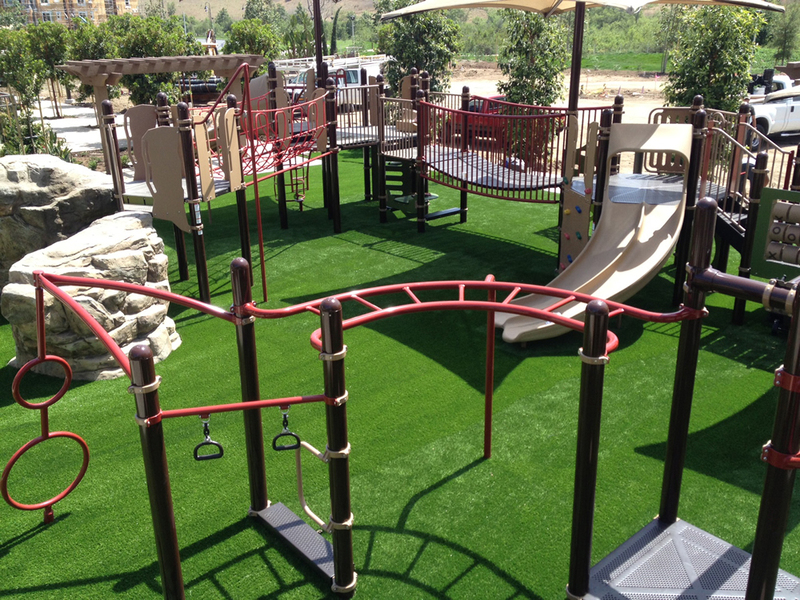 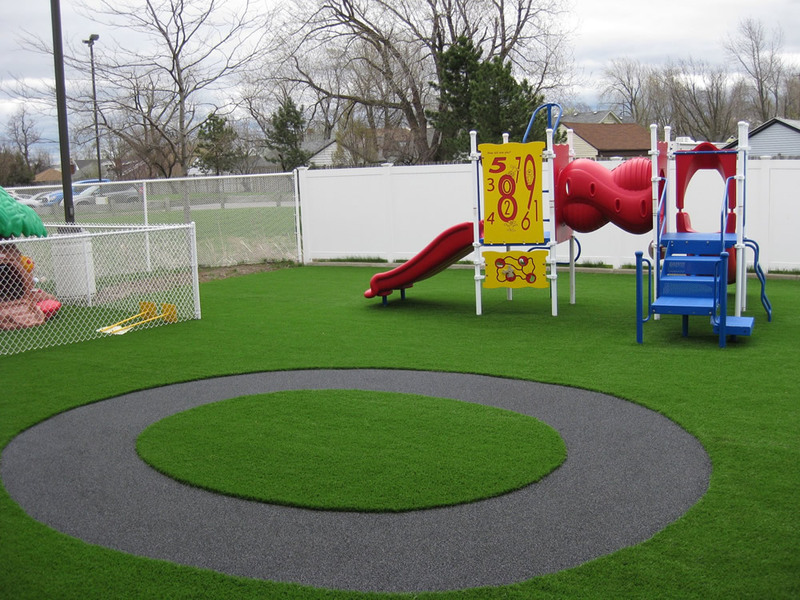 PlayBound™ TurfTop™ complements a park setting or green environment nicely. 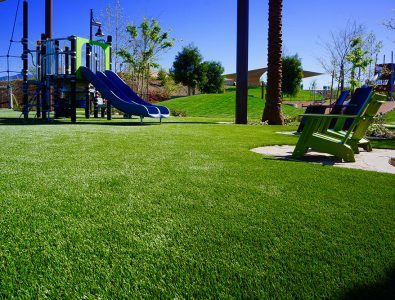 It resists wear and tear from heavy foot traffic so it looks like perfectly-groomed grass all the time. It allows a free flow of water, enabling the playground to be used immediately following heavy rain. 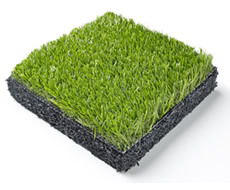 It’s extremely durable, so you can expect a long life. 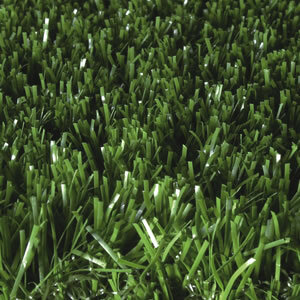 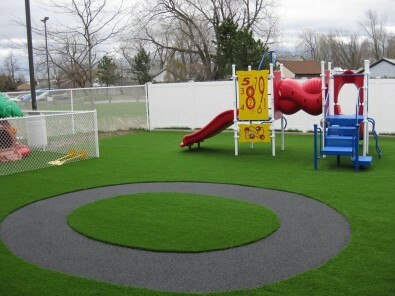 An ADA-compliant grass surface with no dish-out areas around equipment. 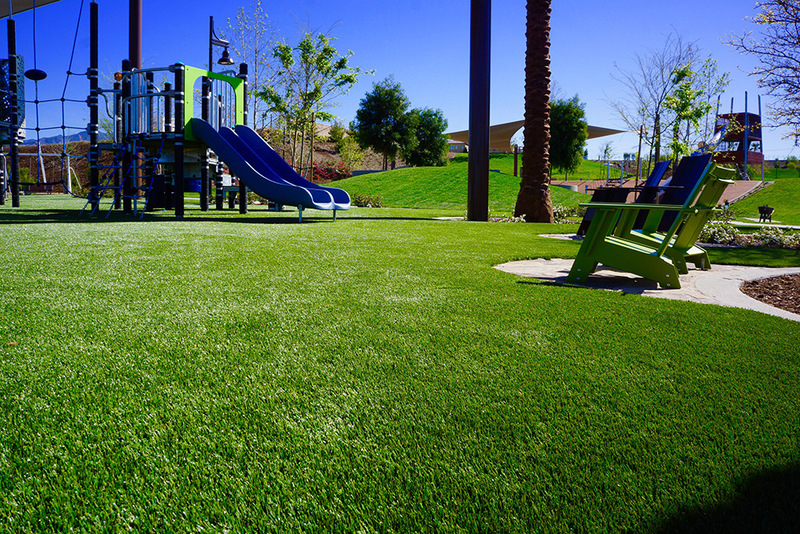 The resilient basemat provides great shock absorption at areas needed most, and doesn’t dish out at swings and sliding boards. 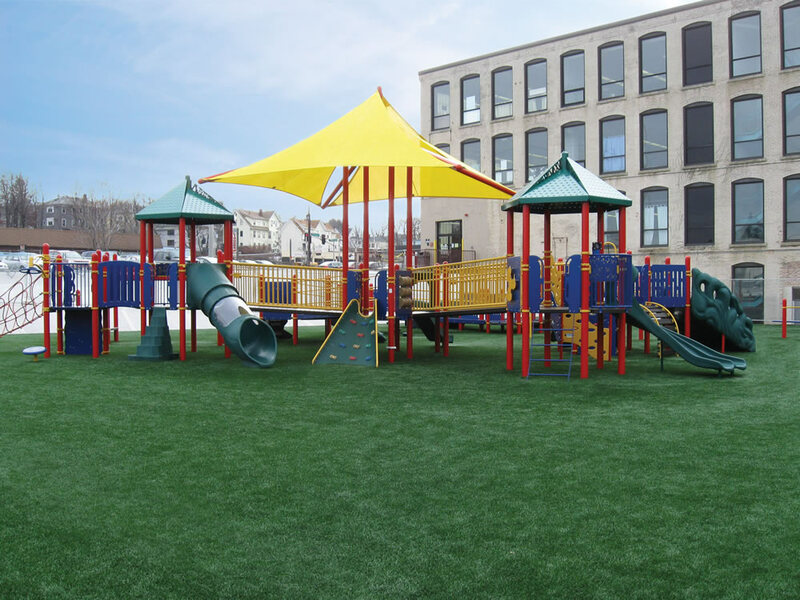 Wheelchairs and walking aids can negotiate the playground without difficulty, thus conforming to the requirements of the Americans with Disabilities Act and ASTM F-1951 Determination of Playground Surface Accessibility.